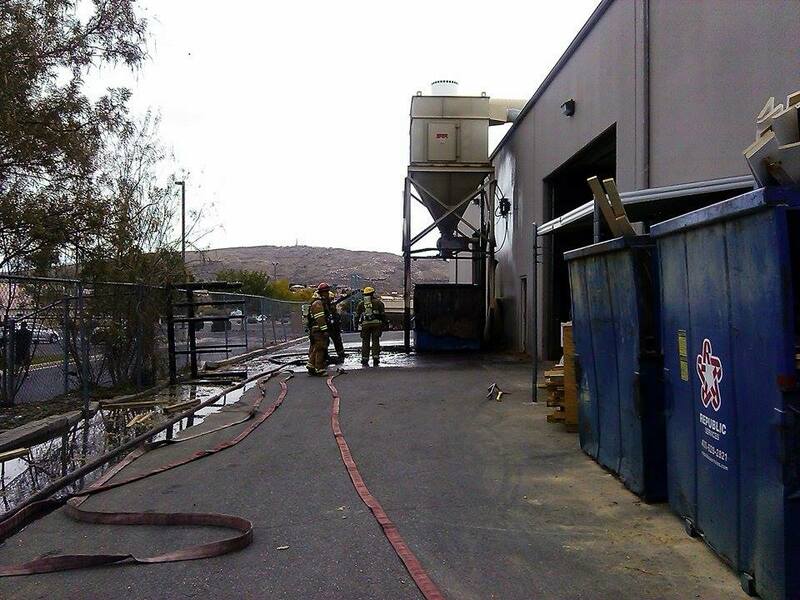 ST. GEORGE — A fire ignited Saturday afternoon in a dumpster that serves as a sawdust depository unit on the east side of Riverwoods Mill cabinet shop in St. George. 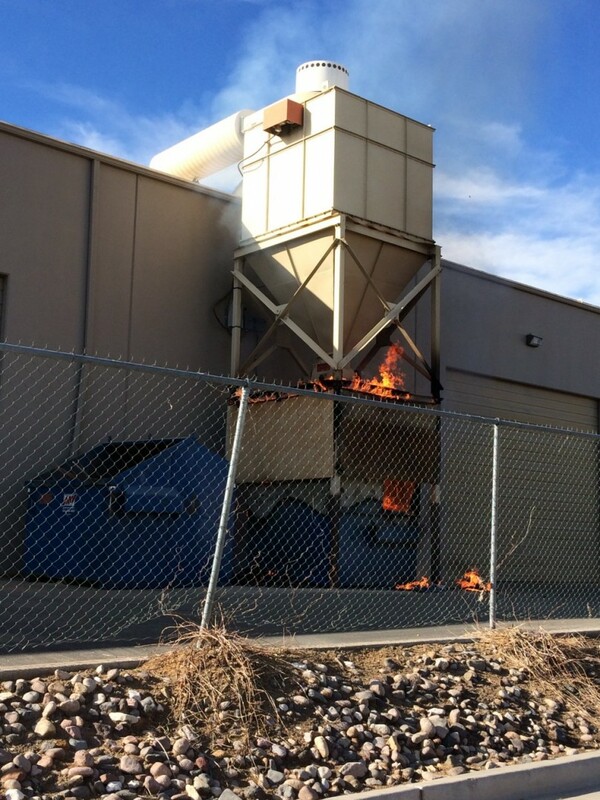 Just after 2 p.m., a passerby reported a fire was coming from a dumpster sitting on the east side of Riverwoods Mill, located at 316 E. 1400 South in St. George. 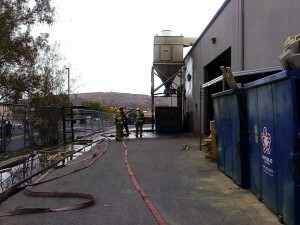 The St. George Fire Department responded to the scene to find smoke billowing from the dumpster, St. George Fire Capt. Dan Cazier said. The sawdust collection system in Riverwoods Mill vacuums dust from machines and deposits it into the dumpster where the fire started, Cazier said. The vacuum that hovers above the dumpster had small amounts of sawdust that caught fire from the rising flames, but the fire was not found to have extended to the interior of the building. Firefighters were able to extinguish the fire within five minutes using water. The exact cause of the fire remains under investigation. Fires are commonly seen igniting in the dust collecting dumpsters at cabinet shops from rags that have been used to stain wood and then get sucked up by the vacuum systems, combusting in the dust, Cazier said. The amount of damage caused by the fire is estimated to be under $10,000, he said.